Antonio Maria Luis Felipe Juan Florencio de Orléans y Borbon (23 February 1866 in Seville – 24 December 1930 in Paris) was an Infante of Spain and the fourth Duke of Galliera in the Kingdom of Italy. He was a member of the Spanish Royal Family and a grandson of Louis-Philippe of France. Antonio was the only surviving son of Prince Antoine of Orléans, Duke of Montpensier, and his wife Infanta Luisa Fernanda of Spain. Through his father, he was a grandson of King Louis Philippe of the French and his wife Princess Maria Amalia of the Two Sicilies. Through his mother, he was a grandson of King Ferdinand VII of Spain and his wife Princess Maria Christina of the Two Sicilies. Antonio was born in Seville, shortly before the end of the reign of his aunt Queen Isabella II of Spain. Due to the Glorious Revolution of 1868 which chased his family from Spain, he spent most of his childhood abroad. Yet his ambitious and liberal father Antoine, Duke of Montpensier, had some relations with the revolutionaries who forced him to flee his country of adoption. 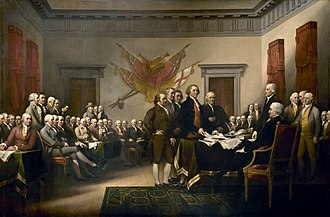 In fact, the uprising was prepared with his money and he hoped to be elected king in exchange. 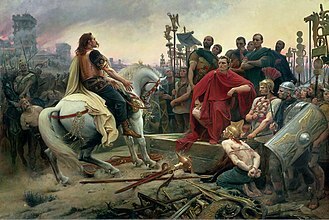 However, the attempt failed and the banishment of the House of Orléans was confirmed by the Spanish interim government. In December 1874, the coup of General Arsenio Martínez Campos allowed for the restoration of the Spanish monarchy and the young Alfonso XII was made king following the renunciation of his mother. 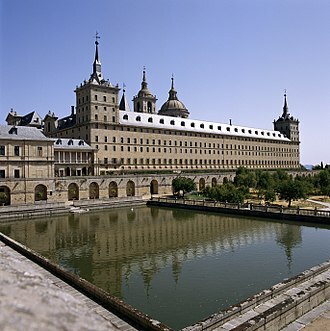 A few months later, the Orléans were pardoned and Antonio went to live with his family in Seville in Palacio San Telmo. In 1878, King Alfonso XII married Antonio's older sister Mercedes, and the reconciliation of the Spanish Orléans and Bourbons was complete. On 6 March 1886 in Madrid, Antonio married his cousin Infanta Eulalia of Spain, the daughter of Queen Isabella II of Spain and her husband Francis, Duke of Cádiz. Antonio's marriage gave him the opportunity to play some official role in the court in Madrid. In 1892, he participated in his wife's trip to Cuba and the United States for the celebrations of the 400th anniversary of the discovery of America by Christopher Columbus. 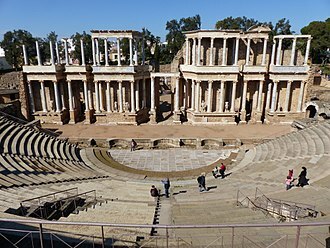 Antonio, however, was fickle and extravagant, while his wife was a strong and cultured woman who refused to bear the humiliations caused by her husband. They separated shortly after they returned to Spain from the United States. On 31 May 1901, they signed a legal separation before the Spanish Consul General in Paris. In 1895, King Umberto I of Italy recognised Antonio as the heir of the title Duke of Galliera. The legitimate heir of the title, Phlipp la Renotière von Ferrary (1850–1917) refused to use it and Antonio brought forward his relations with the family of the last Duchess of Galliera, Maria of Brignol-Sale (1812–1888) to obtain the title. 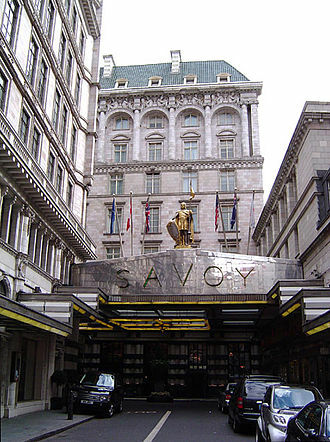 In 1900, Antonio met Marie-Louise Le Manac'h (1869–1949), widow of Simon Guggenheim, at the Savoy Hotel in London. Immediately seduced by the young Breton, Antonio began a new love affair, public in London, Paris and Seville. However, he could not remain faithful even to his mistress, and in 1906 he grew weary of the woman he had gradually introduced in the high society. Antonio was not able to come out of this relationship completely unharmed since his mistress, furious at being dismissed, broke a few of his teeth by hitting him with her umbrella. 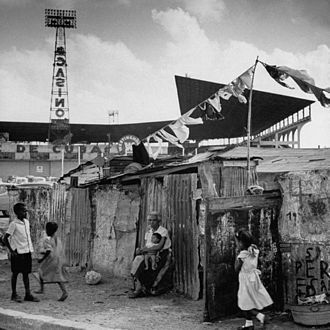 Throughout these years, Antonio lived an expensive lifestyle and squandered the family fortune while his ex-wife lived in relative poverty. In 1919, his excessive spending forced him to sell his land in his Italian duchy. 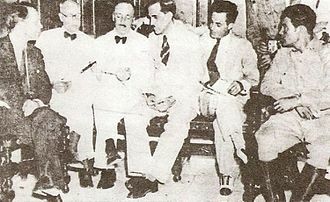 Antonio died in comparative poverty in Paris in 1930. 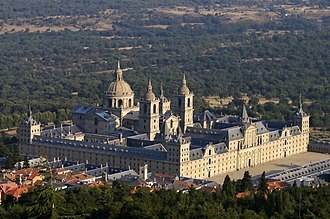 His remains were transferred to the Pantheon of the Princes in El Escorial. Wikimedia Commons has media related to Infante Antonio, Duke of Galliera. ^ "Spain", The Times (March 8, 1886): 5. ^ "The Case of Princess Eulalia", New York Times (June 3, 1901): 7. The generations indicate descent from Carlos I, under whom the crowns of Castile and Aragon were united, forming the Kingdom of Spain. 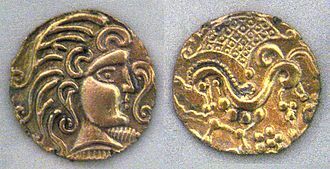 Previously, the title Infante had been largely used in the different realms. Isabella II was Queen of Spain from 1833 until 1868. 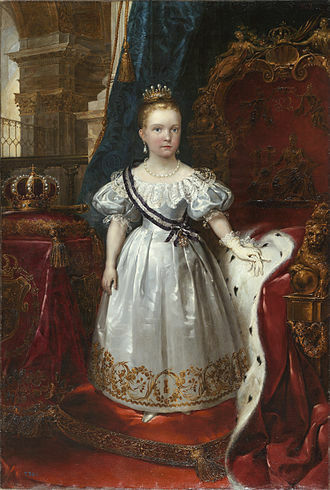 She came to the throne as an infant, but her succession was disputed by the Carlists, after a troubled reign, she was deposed in the Glorious Revolution of 1868, and formally abdicated in 1870. Her son Alfonso XII became king in 1874, Isabella was born in Madrid in 1830, the eldest daughter of King Ferdinand VII of Spain, and of his fourth wife and niece, Maria Christina of Bourbon-Two Sicilies. Queen Maria Christina became regent on 29 September 1833, when her three-year-old daughter Isabella was proclaimed sovereign on the death of the king, the first pretender, Ferdinands brother Carlos, fought seven years during the minority of Isabella to dispute her title. Carlos and his descendants supporters were known as Carlists, and the fight over the succession was the subject of a number of Carlist Wars in the 19th century, Isabellas reign was maintained only through the support of the army. 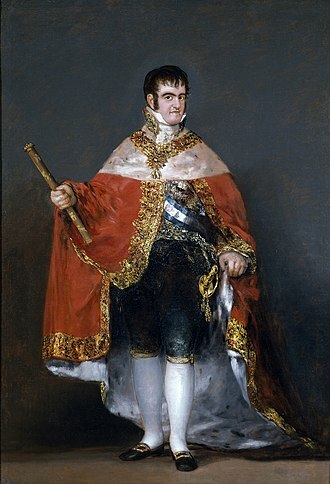 After the Carlist war, the regent, Maria Christina, resigned to make way for Baldomero Espartero, Prince of Vergara, Espartero, a Progressive, remained regent for only two years. Baldomero Espartero was turned out in 1843 by a military and political pronunciamiento led by Generals Leopoldo ODonnell and they formed a cabinet, presided over by Joaquín María López y López. This government induced the Cortes to declare Isabella of age at 13, the marriages suited France and Louis Philippe, King of the French, who as a result nearly quarrelled with Britain. However, the marriages were not happy, persistent rumour had it that few if any of Isabellas children were fathered by her king-consort, rumoured to be a homosexual. The Carlist party asserted that the heir-apparent to the throne, who became Alfonso XII, had fathered by a captain of the guard. Isabella had nine children, but only five reached adulthood, Ferdinand Maria Isabel, Princess of Asturias, Maria Cristina Alfonso XII Maria de la Concepcion Maria del Pilar María de la Paz, who married her cousin Prince Ludwig Ferdinand of Bavaria. Francisco de Asis Eulalia de Asis de la Piedad, who married her cousin Infante Antonio, the couple was rather caustically described by an English contemporary thus, … The Queen is large in stature, but rather what might be called bulky than stately. 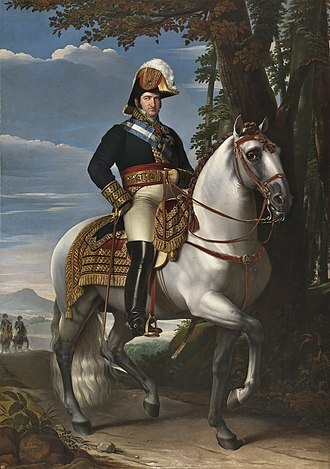 Ferdinand I, was the King of the Two Sicilies from 1816, after his restoration following victory in the Napoleonic Wars. Before that he had been, since 1759, Ferdinand IV of the Kingdom of Naples and he was deposed twice from the throne of Naples, once by the revolutionary Parthenopean Republic for six months in 1799 and again by Napoleon Bonaparte in 1805. Ferdinand was the son of King Charles III of Spain and Sicily by his wife. On 10 August 1759, Charles succeeded his brother, Ferdinand VI. Ferdinand was the founder of the cadet House of Bourbon-Two Sicilies, Ferdinand was styled both Ferdinand III of Sicily and Ferdinand IV of Naples. On 21 January 1799, the Kingdom of Naples was abolished and replaced by the Parthenopaean Republic which lasted until 13 June 1799, Ferdinand was restored to the throne for a while. On 26 December 1805, Napoleon I of France declared Ferdinand deposed again, Ferdinand was restored for the second time following the Austrian victory at the Battle of Tolentino over rival monarch King Joachim I. On 8 March 1816 he merged the thrones of Sicily and Naples into the throne of the Two Sicilies and he continued to rule until his death on 4 January 1825. 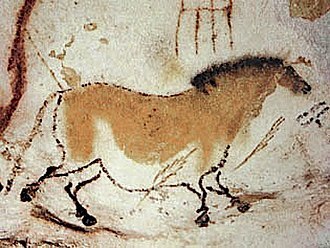 Ferdinand was born in Naples and grew up amidst many of the monuments erected there by his father which can be seen today, Ferdinand was his parents third son, his elder brother Charles was expected to inherit Naples and Sicily. When his father ascended the Spanish throne in 1759 he abdicated Naples in Ferdinands favor in accordance with the treaties forbidding the union of the two crowns, a regency council presided over by the Tuscan Bernardo Tanucci was set up. Ferdinands minority ended in 1767, and his first act was the expulsion of the Jesuits, the following year he married Archduchess Maria Carolina, daughter of Empress Maria Theresa. 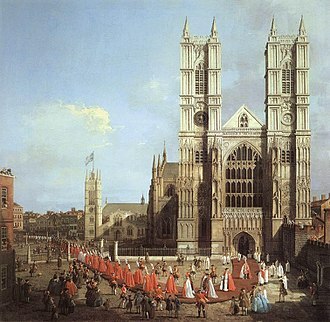 By the marriage contract the queen was to have a voice in the council of state after the birth of her first son, who attempted to thwart her, was dismissed in 1777. He became practically and afterward prime minister. Francis I was Holy Roman Emperor and Grand Duke of Tuscany, though his wife effectively executed the real powers of those positions. With his wife, Maria Theresa, he was the founder of the Habsburg-Lorraine dynasty, from 1728 until 1737 he was Duke of Lorraine. In 1737, Lorraine became managed by France under terms resulting from the War of the Polish Succession and the House of Lorraine received the Grand Duchy of Tuscany in the peace treaty that ended that war. 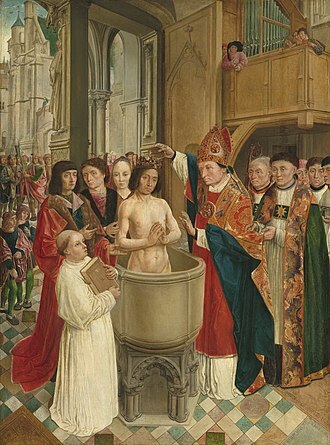 Francis was born in Nancy, the oldest surviving son of Leopold, Duke of Lorraine and he was connected with the Habsburgs through his grandmother Eleonor, daughter of Emperor Ferdinand III. He was very close to his brother and sister Anne Charlotte, Emperor Charles VI favored the family, besides being his cousins, had served the house of Austria with distinction. He had designed to marry his daughter Maria Theresa to Francis older brother Leopold Clement, on Leopold Clements death, Charles adopted the younger brother as his future son-in-law. Francis was brought up in Vienna with Maria Theresa with the understanding that they were to be married, and a real affection arose between them. At the age of 15, when he was brought to Vienna, he was established in the Silesian Duchy of Teschen, Francis succeeded his father as Duke of Lorraine in 1729. In 1731 he was initiated into freemasonry by John Theophilus Desaguliers at a specially convened lodge in The Hague at the house of the British Ambassador, Philip Stanhope, 4th Earl of Chesterfield. During a subsequent visit to England, Francis was made a Master Mason at another specially convened lodge at Houghton Hall, Maria Theresa arranged for Francis to become Lord Lieutenant of Hungary in 1732. He was not excited about this position, but Maria Theresa wanted him closer to her, in June 1732 he agreed to go to Pressburg. A preliminary peace was concluded in October 1735 and ratified in the Treaty of Vienna in November 1738, in March 1736 the Emperor persuaded Francis, his future son-in-law, to secretly exchange Lorraine for the Grand Duchy of Tuscany. Louis Philippe I was King of the French from 1830 to 1848 as the leader of the Orléanist party. He spent 21 years in exile after he left France in 1793 and he was proclaimed king in 1830 after his cousin Charles X was forced to abdicate in the wake of the events of the July Revolution of that year. 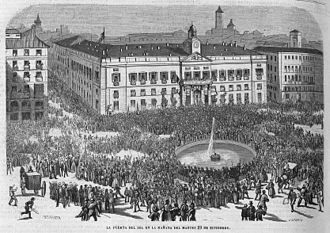 His government, known as the July Monarchy, was dominated by members of a wealthy French elite and he followed conservative policies, especially under the influence of the French statesman François Guizot during the period 1840–48. He promoted friendship with Britain and sponsored colonial expansion, notably the conquest of Algeria and his popularity faded as economic conditions in France deteriorated in 1847, and he was forced to abdicate after the outbreak of the French Revolution of 1848. 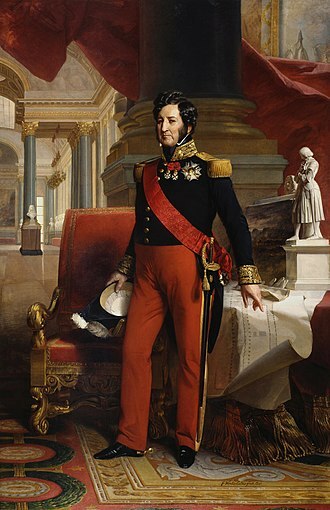 He lived out his life in exile in Great Britain, Louis Philippe was born in the Palais Royal, the residence of the Orléans family in Paris, to Louis Philippe, Duke of Chartres, and Louise Marie Adélaïde de Bourbon. 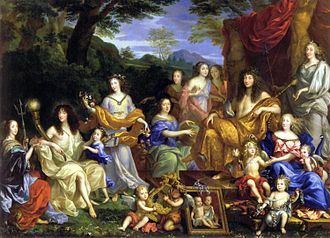 As a member of the reigning House of Bourbon, he was a Prince of the Blood and his mother was an extremely wealthy heiress who was descended from Louis XIV of France through a legitimized line. Louis Philippe was the eldest of three sons and a daughter, a family that was to have erratic fortunes from the beginning of the French Revolution to the Bourbon Restoration. 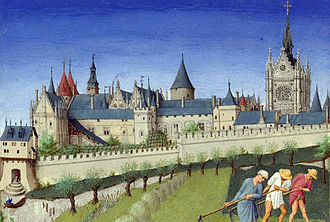 Louis Philippes father was exiled from the court, and the Orléans confined themselves to studies of the literature. Louis Philippe was tutored by the Countess of Genlis, beginning in 1782 and she instilled in him a fondness for liberal thought, it is probably during this period that Louis Philippe picked up his slightly Voltairean brand of Catholicism. When Louis Philippes grandfather died in 1785, his father succeeded him as Duke of Orléans, from October 1788 to October 1789, the Palais Royal was a meeting-place for the revolutionaries. Louis Philippe grew up in a period that changed Europe as a whole and, following his fathers support for the Revolution. Maria Theresa Walburga Amalia Christina was the only female ruler of the Habsburg dominions and the last of the House of Habsburg. She was the sovereign of Austria, Croatia, Transylvania, Milan and Galicia, by marriage, she was Duchess of Lorraine, Grand Duchess of Tuscany and Holy Roman Empress. She started her 40-year reign when her father, Emperor Charles VI, Charles VI paved the way for her accession with the Pragmatic Sanction of 1713 and spent his entire reign securing it. Upon the death of her father, Prussia, Prussia proceeded to invade the affluent Habsburg province of Silesia, sparking a nine-year conflict known as the War of the Austrian Succession, and subsequently conquered it. Maria Theresa would try to reconquer Silesia during the Seven Years War. Of the sixteen, ten survived to adulthood and she had eleven daughters and five sons. She criticised and disapproved of many of Josephs actions, Maria Theresa understood the importance of her public persona and was able to simultaneously evoke both esteem and affection from her subjects. However, she refused to allow religious toleration and contemporary travelers thought her regime was bigoted and superstitious. As a young monarch who fought two wars, she believed that her cause should be the cause of her subjects. The dowager empresses, her aunt Wilhelmine Amalia of Brunswick-Lüneburg and grandmother Eleonor Magdalene of the Palatinate-Neuburg, were her godmothers and her father was the only surviving male member of the House of Habsburg and hoped for a son who would prevent the extinction of his dynasty and succeed him. Thus, the birth of Maria Theresa was a disappointment to him. 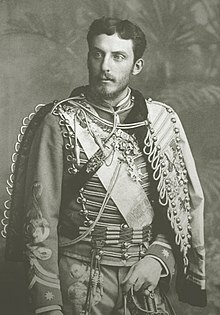 Charles sought the other European powers approval for disinheriting his nieces and they exacted harsh terms, in the Treaty of Vienna, Great Britain demanded that Austria abolish the Ostend Company in return for its recognition of the Pragmatic Sanction. France, Saxony-Poland and Prussia reneged, little more than a year after her birth, Maria Theresa was joined by a sister, Maria Anna, and another one, named Maria Amalia, was born in 1724. Maria Amalia (left) with her older sister Maria Luisa, by Angelica Kauffmann, 1782. Isabella II as a child. She is depicted wearing the sash of the Order of Queen Maria Luisa. Louise Henriette as the Duchess of Chartres, Jean-Marc Nattier. 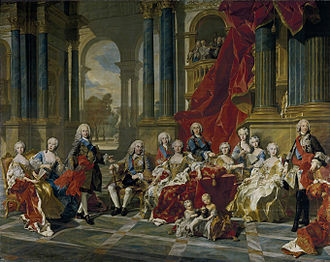 Children of the Duke of Orléans (c.1755); Bathilde holds an angel with her brother, the Duke of Chartres, is on the far right, François-Hubert Drouais. Portrait of a young Louis Philippe Joseph d'Orléans by Louis Tocqué. Louise Marie Adélaïde as the Duchess of Chartres. Louis Philippe d'Orléans with the insignia of the grand master of the Grand Orient de France, the governing body of French freemasonry. Archduchess Maria Carolina holding a portrait of her father, Francis I, Holy Roman Emperor. Marquis Bernardo Tanucci, de facto ruler of Naples and Sicily from 1759 until 1776. 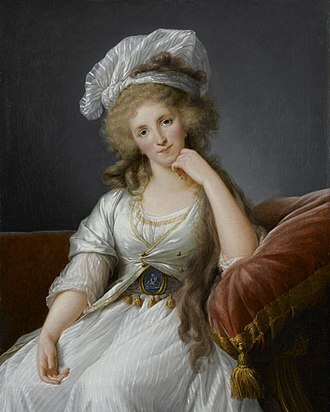 Marie Antoinette, Queen of France, here depicted by Jean-Baptiste Gautier Dagoty, was Maria Carolina's favourite sister. 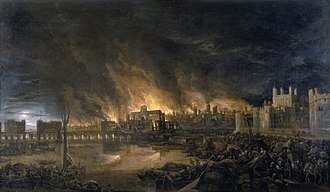 It was as a response to her treatment by the French that Maria Carolina allied Naples with Britain during the French Revolutionary Wars. Maria Theresa and Francis Stephen at their wedding breakfast, by Martin van Meytens. 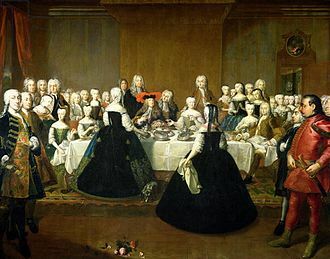 Charles VI (in the red-plumed hat) is seated at the center of the table. 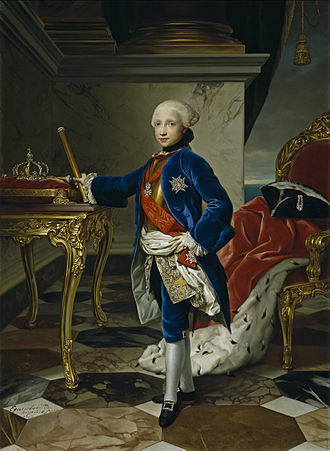 Ferdinand in 1760, at age nine. Infante Alfonso de Orleans and his wife Princess Beatrice.